Ginger root is one of the most useful and nutritious natural products which has been used for centuries to treat various health conditions. 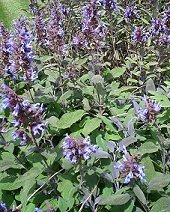 It was one of the key herbal remedies in Traditional Chinese medicine, and it plays a key role in Ayverdic medicine. Ginger actually originates from India and currently, India is the world’s leading manufacturer of ginger root. Ginger (Zingiber officinale) is a plant rich in such elements as vitamins, minerals (iron, magnesium, zinc, potassium and so on), essential oils, amino acids and other microelements. Ginger root tea is the most popular form of taking advantage from numerous health benefits of ginger root. It is very easy to prepare ginger root tea. Take a piece of washed well and peeled ginger root as big as your thumb, slice it to small pieces. Boil in 400-500 ml of water for 10-15 mins, then leave to rest and cool down. Add several drops of lemon juice and a tablespoon of high quality honey. Also, it is possible to use salt and black pepper for preparing non-sweetened ginger root tea. First of all, ginger root tea can be used to treat the symptoms of respiratory problems like dry or whooping coughs, headaches, high fever, closed nose and so on. Ginger root tea is known for it anti-inflammatory, expectorant, spasmodic, antiseptic, tonic and other properties. Health benefits of ginger root include positive effects of this natural product on our digestive system, and using this tea can assist in relieving such symptoms as nausea, motions sickness, colic and spasms, indigestion and so on. By the way, ginger root tea is one of the best remedies for pregnant women to calm down the signs of morning sickness. Besides, ginger root tea or extracts can be used to improve blood circulation, lower blood pressure and bad cholesterol levels in the blood. That is why ginger root tea can be recommended to those who are trying to shed some pounds. High content of antioxidants makes ginger root tea an effective agent to protect us against some types of cancer. In addition, ginger root has excellent detoxifying properties, it aids in removal of harmful elements and improving our overall health. Finally, ginger root can be used as an effective natural painkiller. 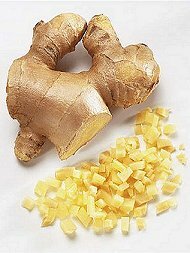 Blended fresh ginger root can be utilized locally to calm down aches and irritation. Garlic has been known for centuries as one of the most valuable natural remedies for a great variety of health conditions, which is credited to protect our heart health and ward off all possible types of colds. Throughout the world garlic is widely used in culinary as well as for keeping away vampires and evil spirits. Therapeutic powers of garlic were utilized by ancient doctors and healers in Traditional Indian and Chinese medicines, and nowadays, 5 millennia later, we still value garlic as one of the best source of health and well-being. Garlic is rich in proteins, vitamins A and B complex, calcium, phosphorus, iron, potassium, iodine and other essential nutrients and minerals. Very important active elements which can be found in garlic include saponine, allicin, aliin, sulphides, fructose and so on. Garlic is considered to be one of the most powerful natural antibiotics, and these natural properties of this natural product are definitely among the most precious health benefits of garlic. Specialists say that eating 2 garlic cloves a day can substantially improve our heart health, assist in blood pressure normalization and strengthening our vessels, as well as plays a role to prevent blood clot formation and preventing cardiac arrhythmia. Garlic is a rich source of antioxidants, which can protect our body from aging and prevent various types of cancer. 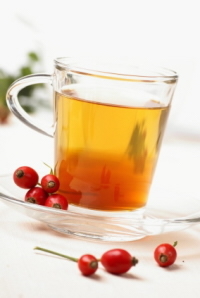 It is an effective natural stimulant of the immune system. Besides, due to a high content of iodine in this natural product, consuming garlic on a regular basis is linked to a better function of thyroid gland. 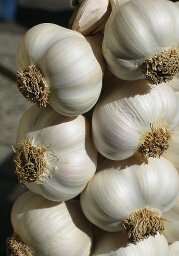 Garlic can help to heal tuberculosis and a great variety of bacterial or fungal infections. 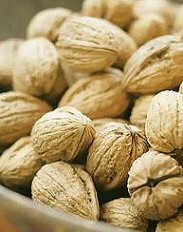 It can aid digestion by stimulating secretion of gastric juice and relieve such symptoms as spasms, cramps, colic, etc. However, those patients who suffer from serious diseases and digestion disorders like gastritis, ulcers and so on, should beware of consuming garlic as it can cause reactions and sensitivity to its active elements. Remember that in order to enjoy all health benefits of garlic, it is recommended to use fresh garlic, as well we various extracts from this miraculous natural gift of our mother nature.